Created to assist users in identifying flags in several Asian countries . 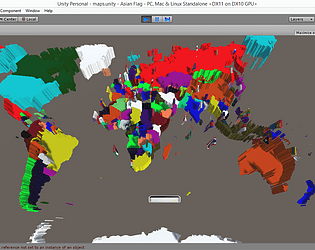 leapmotion unity will use to display the flag in 3D that make this app more interesting or unique to be applied to the user . This application will use the windows so the user more easily use this application for new knowledge so that they can add insight . Flag as used here will appear in 3D so the concept will be received leapmotion own challenges for the makers of this game .